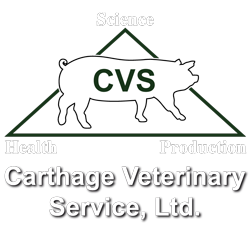 By Clayton Johnson, DVM | October 2017 For decades, we’ve lived with Mycoplasma hyopneumoniae (M. hyo) and have come to accept it as an endemic pathogen of swine. Heck, we even named it “enzootic pneumonia,” which implies this respiratory pathogen will forever hinder pig growth and producer profitability. Now is not the time to surrender and accept M. hyo as a fact of swine production. In fact, as respiratory challenges from other viruses continue to mount, the economic impact of M. hyo becomes even greater. 2017 CVS Annual Conference-Biggest One Yet!